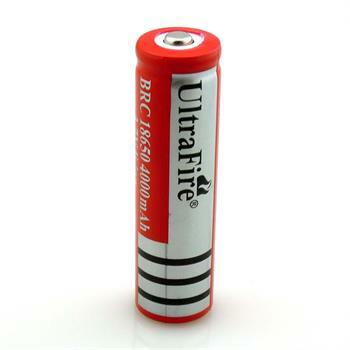 18650 : 3.7 volt 4000mAh UltraFire rechargeable Li-ION battery for Tactical, LED Flashlights, etc. 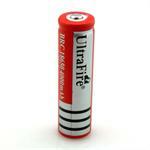 Home > Battery Cells > 18650 : 3.7 volt 4000mAh UltraFire rechargeable Li-ION battery for Tactical, LED Flashlights, etc. 18650 : 3.7 volt 4000mAh rechargeable Li-ION battery for tactical flashlights, etc. 2.65" long, 0.7" diameter. Has protective PCB inside. Recharges with approved Li-ION 18650 chargers. 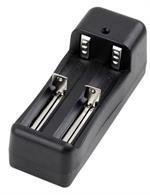 BC-Li3.7: Dual Battery Charger for Li-ION cells. Plugs into Wall Outlet. Charges 1 or 2 Li-ION batteries at a time. Automatic shut off when battery or batteries are full. 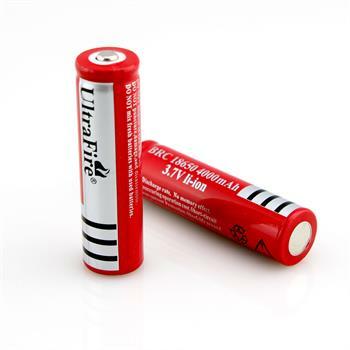 Charges the following Li-ION battery sizes: 18650, 17670, 16340, 14500, 10440.